The NY Times graphics shows the details of the $7.76 trillion dollar commitment but an article from The Big Picture shows the perspective of just how huge the bailout truly is. 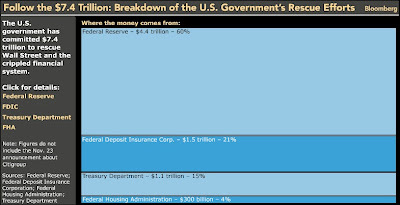 Subtract $7.52 trillion from $7.76 trillion (The total government commitment [thus far] on the bailout) and you will see that the 7.76 trillion exceeds the total amount of money spent on the largest projects the US has ever done by 24 billion dollars. of the U.S. this year. Going Mobile will never be the same. BRT was wrong (again). It's not just 7.76 trillion dollars gone, it's now 9.7 and counting. The pix above is out of date but it's the thought that counts, right? We are in such deep sh*t. If I felt up to it, I would calculate how many box cars it would take to handle 9.7 trillion dollars in $100s. The weight would also be staggering. To see how much volume and weight 15 billion dollars takes up, click Show Me the Money. This says it all for the BA and the bailout. "Graphene is created when graphite — the mother form of all graphitic carbon, which is used to make the pigment that allows pencils to write on paper — is reduced down to a one-atom-thick sheet. Graphene is among the strongest materials known and has an attractive array of benefits. These sheets — single-layer graphene — have potential as electrodes for solar cells, for use in sensors, as the anode electrode material in lithium batteries and as efficient zero-band-gap semiconductors." 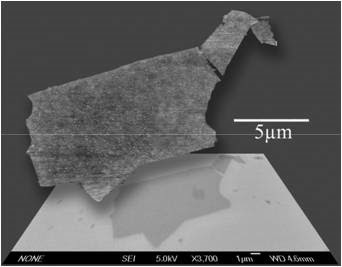 ...the researchers developed a method of placing graphite oxide paper in a solution of pure hydrazine (a chemical compound of nitrogen and hydrogen), which reduces the graphite oxide paper into single-layer graphene. "We have discovered a route toward solution processing of large-scale graphene sheets," Tung said. "These breakthroughs represent the future of graphene nanoelectronic research." "What distinguishes graphene from other next-generation memories is the on-off power ratio – the amount of juice a circuit holds when it's on, as opposed to off. "It's huge — a million-to-one," said Tour. "Phase change memory, the other thing the industry is considering, runs at 10-to-1. That means the 'off' state holds, say, one-tenth the amount of electrical current than the 'on' state." "Current tends to leak from an "off" that's holding a charge. "That means in a 10-by-10 grid, 10 'offs' would leak enough to look like they were 'on.' With our method, it would take a million 'offs' in a line to look like 'on,''' he said. "So this is big. It allows us to make a much larger array." Tour said the new switches are faster than his lab's current testing systems can measure. And they're robust. "We've tested it in the lab 20,000 times with no degradation," said Tour. "Its lifetime is going to be huge, much better than flash memory." Best of all, the raw material is far from exotic. Graphene is a form of carbon. In a clump it's called graphite, which you spread on paper every time you use a pencil. " As much as I distrust the Fed, the Fed of New York has posted an interactive map showing the relative delinquencies of CC and mortgage debt in the US. Check it out because it shows, in real time, why the debt bomb matters. There's an interesting article on Science Daily titled Forgotten but not Gone, How the Brain Relearns. 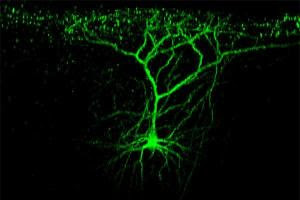 "Scientists at the Max Planck Institute of Neurobiology have been able to show that new cell contacts established during a learning process stay put, even when they are no longer required. The reactivation of this temporarily inactivated "stock of contacts" enables a faster learning of things forgotten." 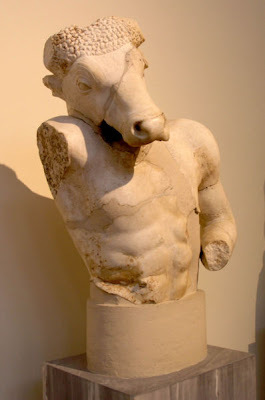 The brain leaving tracks, as it were, reminds me of Theseus who used a ball of string to navigate his way out of the labyrinth after slaying the Minotaur at Knossos on the island of Crete. Following this notion of time saving connectivity, other scientists are using fMRI to see the striking similarity of thought patterns of memories past and imaginations about the future. "Psychologists have found that thought patterns used to recall the past and imagine the future are strikingly similar. 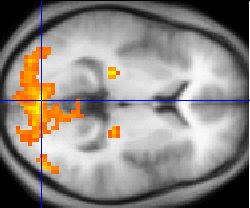 Using functional magnetic resonance imaging to show the brain at work, they have observed the same regions activated in a similar pattern whenever a person remembers an event from the past or imagines himself in a future situation. This challenges long-standing beliefs that thoughts about the future develop exclusively in the frontal lobe." 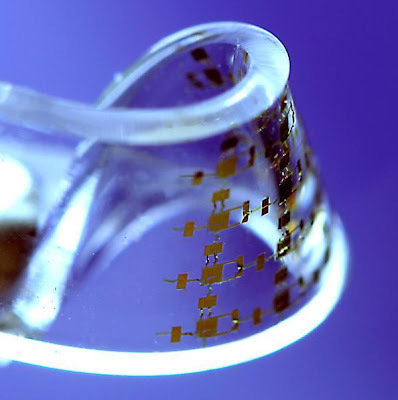 "Huang and Rogers developed a method to fabricate stretchable electronics that increases the stretching range (as much as 140 percent) and allows the user to subject circuits to extreme twisting. This emerging technology promises new flexible sensors, transmitters, new photovoltaic and microfluidic devices, and other applications for medical and athletic use." How they came about doing this is fascinating as it points out the fact that a large part of genius is not just IQ, it's also the ability to see the obvious and do something with it. "The circuit elements were so small that when placed on a curved surface, they didn't bend -- similar to how buildings don't bend on the curved Earth. The system worked because these elements were connected by metal wires that popped up when bent or stretched." It seems we are all hanging by a thread, a thread of nanotubes that allow cells to communicate with one another. "Mammalian cells could also be doing the same.Even more speculative is the idea that the development of organs could be influenced by tunnelling nanotubes. It is not well understood how organs "know" how big they should get, or the exact shape to take. "These are all open questions," says Gerdes. He speculates that if the cells in a given organ were connected by nanotubes, then these connections could help establish a feedback mechanism that provides the necessary information for the organ to grow to the right size and shape." Interestingly enough, these nanotubes were discovered accidentally, something akin to how penicillin was discovered. "HAD Amin Rustom not messed up, he would not have stumbled upon one of the biggest discoveries in biology of recent times. It all began in 2000, when he saw something strange under his microscope. A very long, thin tube had formed between two of the rat cells that he was studying. It looked like nothing he had ever seen before. His supervisor, Hans-Hermann Gerdes, asked him to repeat the experiment. Rustom did, and saw nothing unusual. When Gerdes grilled him, Rustom admitted that the first time around he had not followed the standard protocol of swapping the liquid in which the cells were growing between observations. Gerdes made him redo the experiment, mistakes and all, and there they were again: long, delicate connections between cells. 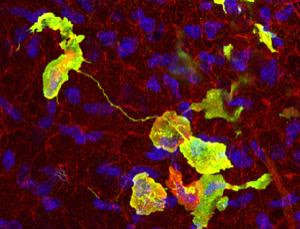 This was something new - a previously unknown way in which animal cells can communicate with each other." "Originally noticed by a French medical student, Ernest Duchesne, in 1896. Penicillin was re-discovered by bacteriologist Alexander Fleming working at St. Mary's Hospital in London in 1928. He observed that a plate culture of Staphylococcus had been contaminated by a blue-green mold and that colonies of bacteria adjacent to the mold were being dissolved. Curious, Alexander Fleming grew the mold in a pure culture and found that it produced a substance that killed a number of disease-causing bacteria. Naming the substance penicillin, Dr. Fleming in 1929 published the results of his investigations, noting that his discovery might have therapeutic value if it could be produced in quantity"
Believe it or not, BRT has posted it's 300th article, not bad for a blog started over a few beers with two of my best friends. 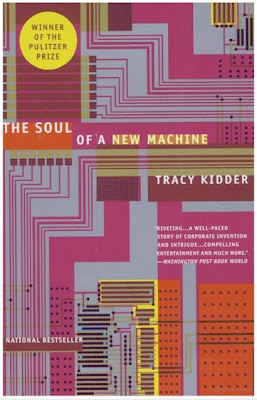 Tracy Kidder wrote a great book about tech where "artists" will do almost anything to create something of significance. "West invented the term, not the practice — was "signing up." By signing up for the project you agreed to do whatever was necessary for success. You agreed to forsake, if necessary, family, hobbies, and friends — if you had any of these left (and you might not if you had signed up too many times before). From a manager's point of view, the practical virtues of the ritual were manifold. Labor was no longer coerced. Labor volunteered. When you signed up you in effect declared, "I want to do this." I refer to "Soul" because of a recent NY Times piece titled A Computing Pioneer Has a New Idea, an article describing the introduction of a new kind of super computer created by Steven Wallach, a hardware geek of genius who was one of the players in Kidder's book. Two weeks later, Mr. Wallach had a new idea. He had long been fascinated with a chip technology called Field Programmable Gate Arrays. These chips are widely used to make prototype computer systems because they can be easily reprogrammed and yet offer the pure speed of computer hardware. There have been a number of start-ups and large supercomputer companies that have already tried to design systems based on the chips, but Mr. Wallach thought that he could do a better job. The right way to use them, he decided, was to couple them so tightly to the microprocessor chip that it would appear they were simply a small set of additional instructions to give a programmer an easy way to turbocharge a program. Everything had to look exactly like the standard programming environment. In contrast, many supercomputers today require programmers to be “heroic.” “The past 40 years has taught us that ultimately the system that is easiest to program will always win,” he said." "Finally, Foveon has combined the best of what both film and digital have to offer. This is accomplished by the innovative design of the three layer Foveon X3 direct image sensor. Similar to the layers of chemical emulsion used in color film, Foveon X3 image sensors have three layers of pixels. The layers of pixels are embedded in silicon to take advantage of the fact that red, green, and blue light penetrate silicon to different depths – forming the first and only image sensor that captures full color at every point in the captured image." "The key is that diamonds aren't made of anything special - the carbon in the Cartier stones could just as easily have been lead in a child's pencil. The important factor is how the atoms bond to each other. The Mexican team use a Pulsed Liquid Injection Chemical Vapor Deposition (PLICVD) system, which does exactly what it says in the name. Small squirts of a carbon-bearing liquid is pulsed into a special chamber, where it is evaporated into vapour which deposits its carbon as a diamond film onto a heated metal plate. 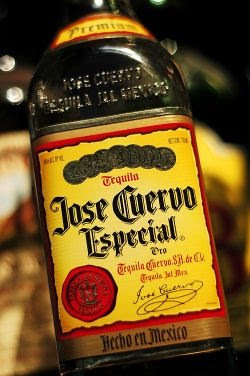 Lucky, then, that tequila distillers have already done it. They carefully prepare the C2H6O of Ethanol, which you might notice has all three of the ingredients we want (with C in the minority), then dilute it further with distilled water (some more pure H2O goodness). 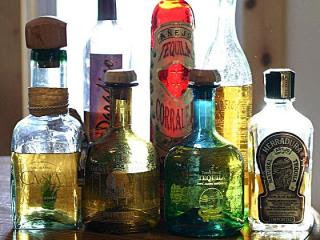 One of the researchers, Luis Miguel Apátiga (soon to be known as Hero of Alcohology), bought a bottle of tequila to test if this would work, or if the extra agave-based additives would scupper the process. The answer: no it doesn't, and the team are now researching how other brands of tequila affect the procedure (and presumably high-fiving each other over finding a way to put "Crate of tequila" on a research expense form)"
Not to be outdone, Physorg has their take on this serendipitous bit of R&D as well. It's time for the Fed to go. Why? Just ask Bloomberg because Bloomberg is demanding, via a lawsuit, that Bernankie (Fed Head) and Paulson (Secretary of the Treasury) tell us where two trillion dollars of our money has gone. For a detailed view of Bloomberg's Freedom of Information lawsuit, click here. 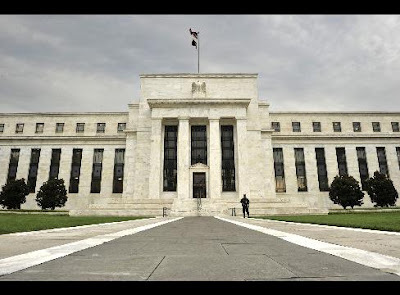 "The Federal Reserve is refusing to identify the recipients of almost $2 trillion of emergency loans from American taxpayers or the troubled assets the central bank is accepting as collateral. Fed Chairman Ben S. Bernanke and Treasury Secretary Henry Paulson said in September they would comply with congressional demands for transparency in a $700 billion bailout of the banking system. Two months later, as the Fed lends far more than that in separate rescue programs that didn't require approval by Congress, Americans have no idea where their money is going or what securities the banks are pledging in return." The ironic part about this is even though this is our money, we have to pay the Fed interest to "borrow" it to fund the bailout to unknown parties because the government doesn't have the right to print it's own money, the Fed does. It becomes stranger still that the Fed is a private entity run by bankers for bankers, something that should become rather evident to the most obtuse observer based on the current actions of Paulson and Bernanke, two officials who have sworn oaths to serve the public good. To add insult to injury, consider this..."WASHINGTON — Nineteen banks taking taxpayer money from the Treasury Department have spent $32.4 million lobbying the federal government during the first nine months of this year, their lobbying disclosure reports show. "Bloomberg requested details of Fed lending under the Freedom of Information Act and filed a federal lawsuit against the central bank Nov. 7 seeking to force disclosure of borrower banks and their collateral. Arguments in the suit may be heard as soon as this month, according to the court docket. Bloomberg asked the Treasury in an FOIA request Jan. 28 for a detailed list of the securities it planned to guarantee for Citigroup and Bank of America. Bloomberg hasn’t received a response to the request. The Bloomberg lawsuit is Bloomberg LP v. Board of Governors of the Federal Reserve System, 08-CV-9595, U.S. District Court, Southern District of New York (Manhattan)." Quick Update, click here to get Bloomberg's latest salvo. Chirality is a big deal because without it, life on this planet could not exist. "When used in the context of chemistry, chirality usually refers to molecules. Two mirror images of a molecule that cannot be superimposed onto each other are referred to as enantiomers or optical isomers. Because the difference between right and left hands is universally known and easy to observe, many pairs of enantiomers are designated as "right-" and "left-handed." A mixture of equal amounts of the two enantiomers is said to be a racemic mixture. 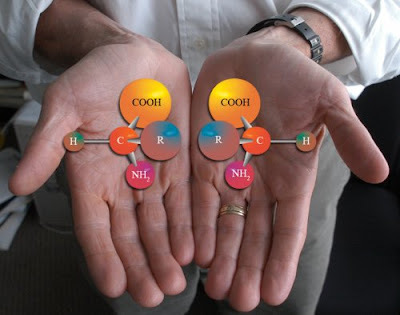 Molecular chirality is of interest because of its application to stereochemistry in inorganic chemistry, organic chemistry, physical chemistry, biochemistry, and supramolecular chemistry." In Physics World, researchers may finally have an answer as to why nature prefers "left Handedness" in organic molecules. "Amino acids, for example, can be either right- or left-handed mirror-images of each other. However, they are always left handed when produced by living organisms. This is important because chirality can affect how a molecule takes part in the chemical reactions crucial for life. Scientists believe that two external agents could be responsible for chirality in biological molecules: circularly polarized light and spin-polarized electrons." Chirality in nature was discovered by Louis Pasteur, the brilliant French scientist who ",,,was singlehandedly responsible for some of the most important theoretical concepts and practical applications of modern science." Interestingly enough, Louis Carrol used Pasteur's findings in Through the Looking Glass to ask the cosmic question, "`How would you like to live in Looking-glass House, Kitty? I wonder if they'd give you milk in there? Perhaps Looking-glass milk isn't good to drink.' "
If one wants to extend this concept of chirality to infinity, perhaps Cern's take regarding Antimatter will suffice. I know it does for me. 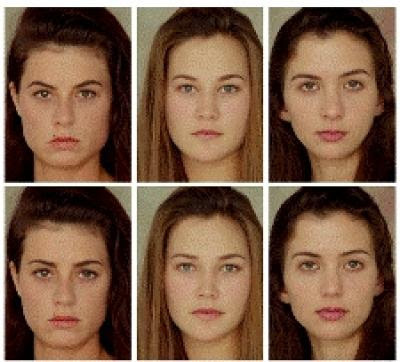 "Beauty, contrary to what most people think, is not simply in the eye of the beholder," says lead researcher Prof. Daniel Cohen-Or of the Blavatnik School of Computer Sciences at Tel Aviv University. With the aid of computers, attractiveness can be objectified and boiled down to a function of mathematical distances or ratios, he says. This function is the basis for his beauty machine. America's Next Top Model, take note. Getting Obama as President has already jump started change as seen by the FCC's ruling on White Space. On whether to open up or not unused radio and television airwaves for unlicensed use by various devices connected to the Internet. 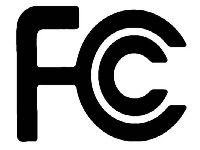 The FCC approved of making the white spaces spectrum available unanimously, with 5 to 0 votes. The plan to open up the frequencies was introduced by FCC chairman Kevin Martin, who has been scheduled to be replaced when a new administration came at the helm of the United States, which was the reason the voting took place the same day as the presidential elections. With this vote, the pervasive web has finally arrived because WiFi and WiMax will become more reliable and more available then anyone thought possible prior to 11/04/2008. Another giant bites the dust but his humanity and sense of humor lives on. 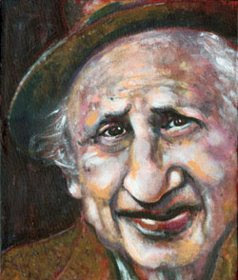 Studs Terkel died at the ripe young age of 96. 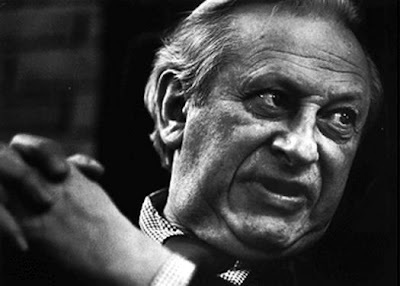 "Terkel was the voice of Chicago, the city of big shoulders, when it really was a bustling industrial hub and slaughterhouse to the nation. He moved there when he was 10 from another great city, New York, and called it his home for the rest of his life. During the Great Depression, his parents ran a boarding house and Turkel witnessed first hand those dispossessed by the nation’s greatest economic calamity. "Information, news, ideas--that's the juice that gets a democracy going. When a few corporations control all the juice, they decide how the democracy works. Or how it won't work. I don't worry that much about people doing the right thing if they have the facts about what their government is up to. But if they don't get the facts, the whole thing falls apart,"
It's nice to post something where tech will directly benefit society in a very big way and that something is the Google Book Search Settlement Agreement finally hammered out between Google and the Authors Guild, the Association of American Publishers and significant others. "Under the agreement, 20% of any work not opting out will be available freely; full access can be purchased for a fee. That secures more access for this class of out-of-print but presumptively-under-copyright works than Google was initially proposing. And as this constitutes up to 75% of the books in the libraries to be scanned, that is hugely important and good. That's good news for Google, and the AAP/Authors Guild, and the public. The beneficial impact on Public Domain cannot be underestimated because content previously prohibited from being digitized and made available to the people now goes live to enrich our lives for the better. 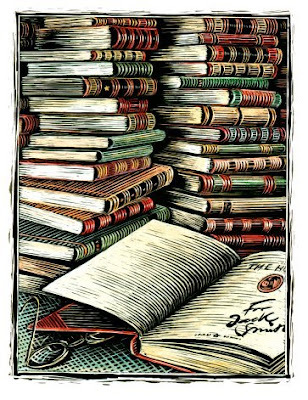 Book worms of the world, unite!